Galaxy NOTE 10.1 P600 CM13 Marshmallow ROM has been arrived which is brought to you by developer joshndroid. If you are flashing CyanogenMod for the first time then please be aware that this MAY VOID WARRANTY of your phone and may permanently damage your phone. 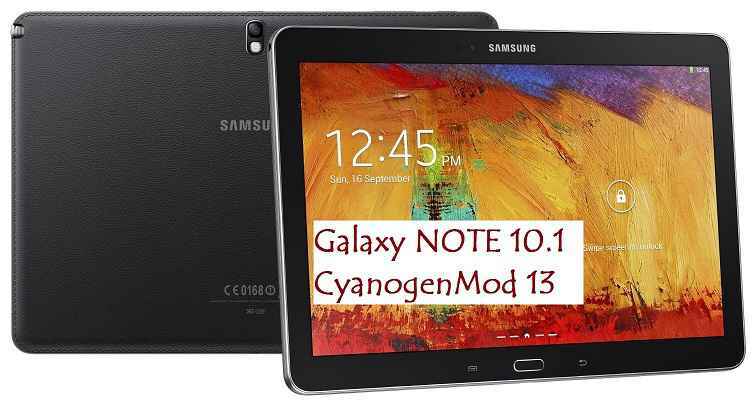 This Galaxy NOTE 10.1 P600 CM 13 CyanogenMod Marshmallow ROM is for Galaxy NOTE 10.1 P600 and hence make sure on which you are flashing. Galaxy NOTE 10.1 P600 TWRP recovery download link. – Download the .img.tar extension TWRP file which can be flashed with ODIN. Follow this guide: How to Install TWRP on Samsung using Odin for the .tar TWRP file. – If you already have an unlocked bootloader then you can download the .img file extension. Then follow this guide: How to flash TWRP using fastboot. – Scroll down and download the latest ROM. Download and Copy the GApps and CyanogenMod ROM ZIP to your device. Boot into Recovery. Make sure to have a Custom recovery like CWM or TWRP. – How to Install TWRP on Samsung using Odin for the .tar TWRP file. Wipe data factory reset, Cache partition, Dalvik Cache and Format the System partition. Here is a guide explaining how to wipe data using TWRP recovery. First flash the CM ROM ZIP from device. Then flash the GApps zip from your device memory. Use the same guide to flash the GApps too. Reboot and Enjoy the CyanogenMod 13 Marshmallow ROM on your Galaxy NOTE 10.1 P600. Copy the CyanogenMod 13 ROM ZIP file to your phone. The first boot may take long time, so don’t panic and be sure that you have enough battery backup. Let the phone reboot and then enjoy the official CyanogenMod 13 Marshmallow ROM on Galaxy NOTE 10.1 P600. How to Enable ROOT Access on CM13/CyanogenMod 13.